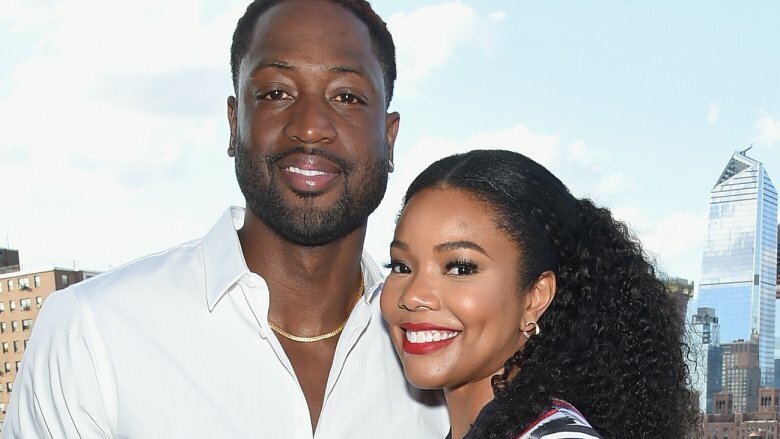 Congratulations to actress Gabrielle Union and former NBA star Dwyane Wade! Gabrielle Union announced the arrival of her first child — a daughter — with her husband, Dwyane Wade, on Thursday, Nov. 8, 2018. Sharing a series of sweet photos of the happy, smiling family, Union wrote in the caption, "A LOVELY DAY," after posting lyrics from Bill Withers' 1977 hit "Lovely Day." The 46-year-old continued, "We are sleepless and delirious but so excited to share that our miracle baby arrived last night via surrogate and 11/7 will forever be etched in our hearts as the most loveliest of all the lovely days." Union added, "Welcome to the party sweet girl!" Wade, 36, shared the same photos and caption on his own Instagram page. As reported by E! News, Union and Wade welcomed their child via surrogate. Union has been open in the past with her experience with fertility issues. In 2017, she revealed in her memoir, We're Going to Need More Wine, that she'd had eight miscarriages over the years as she and Wade attempted to grow their family via in vitro fertilization, or IVF, treatments. "For three years, my body has been a prisoner of trying to get pregnant — I've either been about to go into an IVF cycle, in the middle of an IVF cycle, or coming out of an IVF cycle," she wrote (via People). At the time of this writing, Union and Wade have not yet revealed further details about their baby girl, including her name. While their newborn marks the first child Union and Wade, who've been married for four years, have had together, Wade has three other children from previous relationships: sons Zaire, Xavier, and Zion. Helping raise Wade's children reportedly helped Union realized that she wanted to be a mother. "I never wanted kids," the Bring It On actress told People in October 2017. "Then I became a stepmom, and there was no place I'd rather be than with them." Congrats again to Union and Wade!